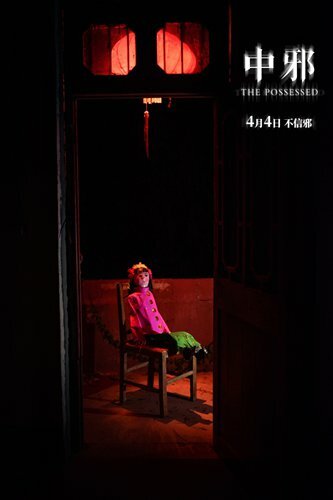 Chinese horror movie The Possessed, a pseudo-documentary that focuses on exorcism culture in the rural areas of Shandong Province, was pulled from this month's release lineup just days before it was set to hit theaters in China on Wednesday, the film's studio confirmed on Saturday. Dubbed "the best Chinese horror movie of the past few years" by some film critics, the low-budget flick from director Ma Ka explores fortune-telling culture and a special exorcism ceremony popular in rural villages throughout the eastern parts of China. The good word around the film made it one of the most anticipated domestic titles coming in April. The film first captured the attention of the public after it won Best Artistic Exploration at China's FIRST International Film Festival in 2016. Due to the ban on "content that promotes superstition" stipulated in the 2016 Film Industry Promotion Law and previous film regulations, movies released in the mainland are usually not permitted to depict the supernatural unless a scientific explanation is given later on in the film to ground the "spirits" or "ghosts" in reality - mental illness or hallucinations caused by drugs are the most commonly used justifications in these films. While The Possessed does offer a "scientific explanation" of the supernatural phenomenon in the film by the story's end, it does showcase a large number of scenes containing "superstitious rituals," which led many Chinese film critics and media outlets to theorize that the film would have a difficult time passing review by China's media watchdog. After the film's release date was announced in early March, numerous Chinese horror movie fans took to social media platforms to celebrate the news, helping push the film's "want-to-see" votes on Chinese media review platform Douban to over 35,000 votes, a number almost equaling that of some imported blockbusters set to screen around the same time. "We actually didn't have much difficulty passing review, aside from getting a few revision suggestions… We cut out some unnecessary plotlines from the original 110-minute edition to the current 95-minute version because we want to make it more fast-paced," Ma, the film's director, told the Global Times on Friday in a telephone interview before the delay was announced. "A major reason why I filmed The Possessed is that I want to warn people to stay away from stupid exorcism ceremonies… just like the story in the movie shows, people who could have gotten well simply by going to the hospital will probably get themselves killed when they believe in such ceremonies," Ma said, adding that the film was inspired by US' horror movie franchises Paranormal Activity and The Blair Witch Project. Rumors that the film would be delayed due to "sensitiveness of its genre" started circulating on Friday night after Chinese media reported that cinemas had received notices that the film would not be showing on April 4, which falls a day before China's Qingming Festival, or Tomb-Sweeping Day. The Global Times has attempted to contact Ma about the news, but has not yet received a response. On Saturday, Hengye Pictures, one of the studios behind the film, released an official announcement on Sina Weibo stating that the film's removal was "due to technical reasons" and that the company decided to "readjust the release date" after discussions with "relevant parties." The situation is very similar to the much-discussed screening of Feng Xiaogang's Youth last year, which was also delayed just days before its scheduled release in late September 2017. Giving no explanation for the delay, an announcement from Youth's producer said the film's release date would be readjusted "after discussions with the film bureau and relevant parties." The film later hit Chinese mainland theaters in December 2017. Some Chinese industrial insiders, however, have theorized that The Possessed's abrupt removal may not have anything to do with the film's content, but the way it was marketed. During promotional events for the film, hosts would play up "weird happenings" that supposedly occurred on set during shooting. While this may have captured the attention of audiences, it may have lent the film a far more superstitious air than what is permitted. Showing sympathy for the filmmakers, Dong Qun, one of the screenwriters for Wolf Warrior 2, wrote on Sina Weibo on Saturday that "creating a superstitious atmosphere during the marketing for this anti-superstition film was a suicidal act considering China's current film and TV review environment." On Saturday, some fans expressed their disappointment by posting screenshots of refund messages from cinemas on social media, but stated they were willing to wait for the film. Partly due to official limitations around the horror genre that may affect production, the number of Chinese horror movies produced in mainland over the past decade has grown relatively slowly compared to titles in the action, fantasy and comedy genres. According to data on Douban, about 58 of the 105 domestic horror titles originally scheduled for a 2017 release window didn't make it to cinemas. Those that were lucky enough to have been granted a screening license either garnered poor box-office revenue or were criticized by moviegoers for the poor way in which they explain away the "supernatural" occurrences. A majority of these films have a 4.5/10 or below on Douban. The 2014 haunted house film The House That Never Dies, for instance, raked in 412 million yuan ($65.7 million) to become the highest-earning title of the genre in the past decade, but has an abysmal 3.8/10 on the platform. "Among all the genres in the Chinese mainland, horror movies are the genre most affected by the review system," wrote Chinese movie critic Zhang Xiaobei on Q&A platform Zhihu.